The Boucher Institute provides a transformative learning experience to students embarking on their journey to become a naturopathic physician. We rely on the generous support of our donors and corporate sponsors to keep our learning environment supplied with cutting-edge technology and research facilities. Such donations have allowed us to graduate 350 naturopathic physicians. Their commitment to their craft and their patients continues to make a direct impact on healthcare in British Columbia. The Boucher team aims to to attract and retain the most highly qualified candidates to our naturopathic program. We design a challenging, research-driven curriculum for our student body so they are always on the forefront of naturopathic developments. We strive to promote the naturopathic profession, and to communicate the importance of truly integrative, preventative care. Boucher’s Corporate Sponsorship program builds alliances between the next generation of naturopathic doctors and sustainably-minded businesses and individuals. Our sponsor’s contributions advance our educational programming, update our learning environment, and support the student-wellness initiatives – core to the teachings of the naturopathic practices. 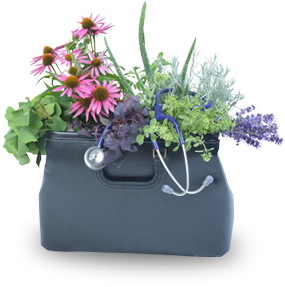 British Columbia boasts the scope of naturopathic practice in Canada. At Boucher, we’re committed to supporting and growing this scope to ensure the success of our students and graduates, and the patients that we know can benefit from naturopathic treatment. Corporate sponsorships with Boucher exhibit your brand to a highly relevant audience. By sponsoring Boucher, our students, practicing physicians, faculty and staff have the opportunity to familiarize themselves with the efficacy of your product. The leave our program as highly trained purveyors of what you offer. Your investment in the Boucher program gives you the opportunity to cultivate an informed relationship with our future doctors. At Boucher, we aim to change the face of healthcare in British Columbia. We advocate for naturopathic medicine, for our graduates, and for products and services we believe in. The support of our corporate sponsors helps us advance our ambitious agenda as we invest in the development of a more sustainable healthcare industry and the success of our alumni. We deeply appreciate your support, and look forward to further cooperation in the future. Boucher offers its valuable supporters many ways to contribute to the school, student success, and the naturopathic profession. There are opportunities for all companies, both large and small, and we are grateful for every contribution that helps us attain our vision. Corporate sponsors can choose to enrol in one of our programs, support student events and wellness initiatives, partner on continuing education or provide student scholarships. Please contact sponsorship@binm.org for more information on how your business can get involved with the Boucher Sponsorship initiative. A great way to elevate your company’s profile, products and services is by working with a student representative. Our community of close-knit students and faculty allows for more opportunity to interact with your student representative, and to promote your products and services. Being featured on the Boucher Institute Sponsorship Wall ensures that your promotional material is regularly viewed by Boucher students, guest-lecturers, faculty and staff. Advertisements of the sponsor’s choice are filled by the Sponsor’s student representative, who will additionally offer information on upcoming product releases, paint an image of the corporate profile, and speak to upcoming events your company is hosting or participating in. During our lunchtime information sessions, students and company reps meet in an informal setting to discuss sponsor-specific news, product information, and upcoming events. The student-representative may host up to three lunchtime info sessions or vendor-booth sessions during the lunch hour, commensurate with the sponsor’s level of contribution. Your company will be profiled on our main page on Boucher’s eCampus student portal site. Boucher hosts bi-annual vendor fairs on campus to encourage students to increase their knowledge of the products and services available to the naturopathic community. All students, staff, and faculty are invited to attend the vendor fairs, and the sponsor’s participation is to be organized by the sponsor’s student representative. Your corporate sponsorship status grants wholesale ordering capabilities of your products and services to the Boucher students. Such access provides your company with an effective means of promoting individual health, and establishes product familiarity amongst the Boucher students. Hosting a munch and learn presentation helps Boucher students, faculty, and staff stay current with your company’s research and product developments. During these presentations, the sponsor is invited to promote and educate participants about the application of their products and services in current evidence-informed practice. As a member of this exclusive committee, the sponsor is able to drive key decisions and agenda items of the Boucher Institute. 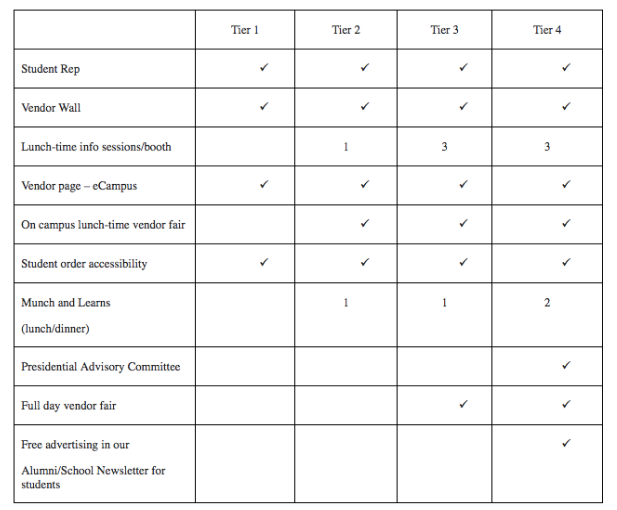 The committee makes decisions regarding institutional policy, budget, and school culture. The board meets twice a year to discuss agenda items set by its members. Please note that as members of the board, sponsors are required to sign a non-disclosure agreement. Boucher hosts an annual day-long vendor event during which students engage with vendors throughout the day. Students are booked in small groups for hour-long interaction with the vendors allowing for a deeper connection to you and your products. Support the future of the naturopathic profession by contributing towards a sponsored scholarship. These scholarships are awarded based on financial need, superior academic performance, and demonstrated dedication to the naturopathic ethic and values of the community. When your business contributes to a scholastic sponsorship, the company logo and name appear on the scholarship opportunities website. The sponsors are invited to participate in the presentation ceremony, when the scholarships are awarded to the selected individuals. Event sponsorship offers corporate sponsors another means of sharing their message, products, and services with the students, faculty and alumni of the Boucher institute. All Boucher’s community events are exclusive sponsorship opportunities. We invite our event sponsors to display their brand on banners, posters, and booths for the duration of our events, and interact with an audience insofar as it is relevant to their services. Sponsors are invited to be on-site for the duration of these events in order to connect with attendees and promote their services. Sponsors will also be recognized on all of Boucher’s promotional advertising, and on our website and social media channels following the event. This event is hosted each September to introduce new students to the Boucher culture, and welcome returning students from the summer break. The event is a relaxed, informal opportunity for students to connect with their peers, faculty and staff, and re-acquaint themselves with the campus. This weeklong event takes place each December, and features a variety of social activities. The celebration week is hosted by Student Services in collaboration with the Boucher Naturopathic Students Association and offers opportunities for the student body to give back to their community through charitable donations and activities. Each spring, the Boucher community celebrates the warmer weather and longer days by gathering in the park for a soccer tournament and barbeque. Students, staff, faculty and alumni gather to toast the coming summer, and network with their peers and professionals. Each year during Naturopathic Medicine Week the Boucher Clinic hosts a “Patient Appreciation Week”. During the event, our students to express their gratitude to the patients who support their learning and provide them the opportunity to complete their required practicum hours. Over 400 attendees enjoy nutritious snacks, take advantage of a complimentary wellness exam, receive free samples and prizes and bring their friends and family along for discounted appointments. The final celebration of the school year is co-hosted by the Boucher Naturopathic Student’s Association and Boucher staff. The year-end celebration offers students and faculty a chance to show their talent and for graduates to say goodbye to their peers as they head into their professional career. The cohort model of education ensures that deep bonds are developed among the student body. Graduation is an exciting and challenging time for our students and in order to ease the transition from student to doctor the Institute hosts a grad exit retreat for each cohort. The purpose of this two-day off-campus event is to offer the graduating cohort an opportunity to reflect on their four-year experience at Boucher and equip graduating students with additional resources to support the transition from school to practice. The event is facilitated by the Boucher counselling team and includes a banquet style lunch at the end of the second day. Contact sponsorship@binm.org for more information.